Hyrule Warriors won&#39;t be the only Wii U game where Demon Lord Ghirahim will make an appearance. Hyrule Warriors won't be the only Wii U game where Demon Lord Ghirahim will make an appearance. 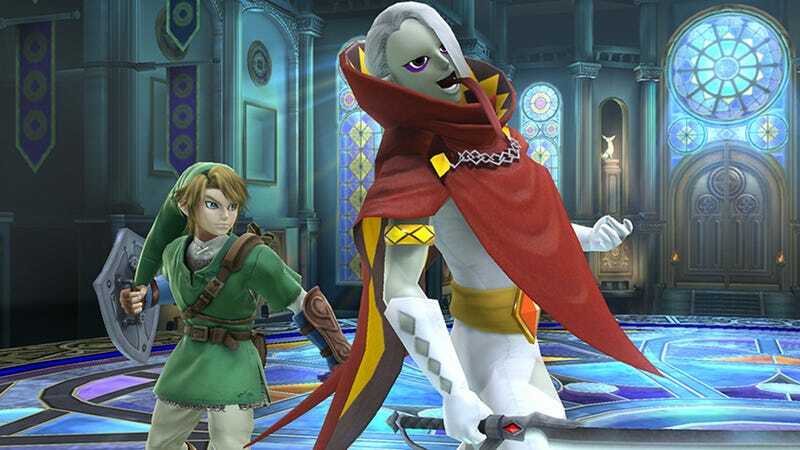 Masahiro Sakurai revealed Skyward Sword's antagonist as an assist trophy in Super Smash Bros. Wii U. Skull Kid, Midna and now Ghirahim... that's a lot of assist trophies from Zelda games.